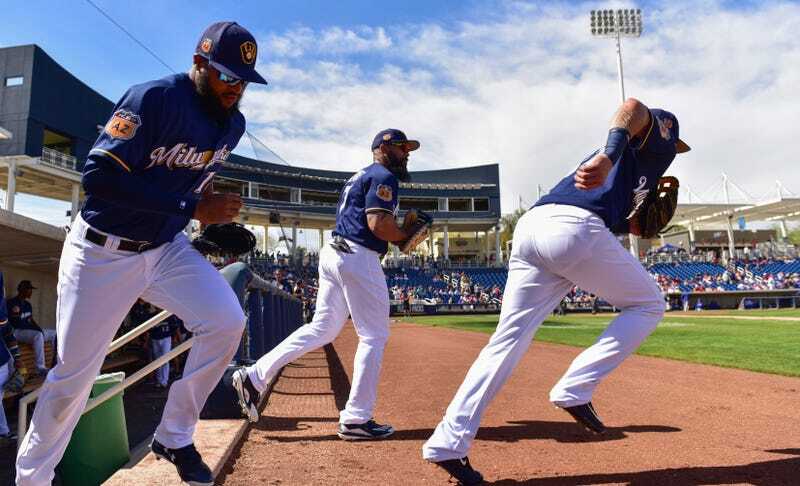 As spring training comes to an end soon and the games that really count begin, we look back on some standout situations and player improvements that will impact your upcoming drafts. The Fantasy Front Office staff has handpicked several noteworthy items to add to your own spring training watch list. Arriving at Fort Myers in the best confidence of his career, Hanley Ramirez has been promising a lot this Spring. He declared a 30/30 season, and his shoulder fully healthy after off season surgery. His initial setup is ideal. Red Sox Manager Alex Cora has already indicated that Hanley is the man for the 3rd spot in the loaded Red Sox lineup. That will place him behind table setters Mookie Betts and Andrew Benintendi while receiving protection from JD Martinez. The Rockies have so many guys that it is a shame all of them cannot be afforded everyday at-bats. At this point in time, eight players are vying for four spots, every candidate being worthy of substantial playing time. But of course, that can’t possibly happen. At first base, there remains a competition for at-bats between incumbent Ian Desmond, top prospect Ryan McMahon, and possibly even Gerardo Parra. Ryan McMahon was the early favorite to win the job, but with the re-signing of Carlos Gonzalez, Ian Desmond will be left without a clear outfield role, leaving first base as his only option. McMahon bats left-handed and Desmond bats right-handed, so this could end up as something of a platoon. In the outfield, the Rockies have a plethora of talented young players mixed in with their veterans. David Dahl, Raimel Tapia, and Michael Tauchman have all flashed signs of being above-average major leaguers. However, Charlie Blackmon, Carlos Gonzalez, Ian Desmond, and Gerardo Parra are all season vets who are going to be given at-bats. Blackmon is a lock to play everyday and is a first-round fantasy talent so he has the center field job locked up, of course. Dahl batted .315 in 63 games two seasons ago and is in the Rockies’ plans for the future. Tapia and Tauchman could be afforded fourth-outfielder duties eventually. Prediction: Blackmon gets every day at-bats in center. Desmond bounces between the outfield and first base (against lefties). McMahon will get the first base job against RHP and his experience at other positions will get him more opportunity to carve out an everyday role. Tauchman and Tapia will be handed bench roles. Dahl will start the year in the minors and come up eventually to claim right field for good. CarGo will cover right in the meantime. Parra will get the leftovers. Yes, that is a lot, I know! Look at this baby faced player vs this grizzled vet. Oh wait, that’s the same person. Kyle Schwarber’s transformation over the past couple of years has been significant. His weight loss will undoubtedly improve his fielding ability and overall durability. It also has allowed him to ditch the bulky knee brace. Couple that fact with the weight loss, and his speed may see an overall improvement. Spring training is a place where players tinker with their game. What’s been interesting about Schwarber’s spring is his willingness to steal bases. In his eight times on base, he has attempted to steal four times. He was successful in three of those attempts. To put that in perspective, in the past two seasons he has attempted to steal a base only twice. As it stands, Milwaukee has to disperse playing time between five players for only four spots. If a team is deciding whether or not to give a player (Domingo Santana) who hit .278 with 30 homers and 15 stolen bases last season at-bats, you know they are absurdly stacked. Ryan Braun has been the golden boy in Milwaukee for the better part of the decade now and still puts up fantastic numbers when healthy. He is working out at first base this spring in an effort to get as many ABs as possible, but MLB.com correspondent Richard Justice wrote about Braun’s lack of comfortability at the position. Braun has blatantly stated “I don’t feel remotely comfortable” and “I had no idea what I was getting myself into”. He put up a .268/.336/.487 triple-slash in his age-33 campaign in 2017, pretty respectable considering he also contributed 17 bombs and 12 steals in limited time. Most likely to play first base against righties is Eric Thames, the guy who took baseball by storm in his first month back in the big leagues. He has tons of talent, but a platoon is to be expected with such a wealth of talent on the roster. Prediction: Thames plays first against righties and Braun will spell him against lefties. Broxton will head to AAA for at least the start of the season. Yelich and Cain get everyday at-bats. Santana will get 75% of the remaining outfield spot’s plate appearances while Braun will get the remaining 25%. Trying to sell a Colorado pitcher is a tall task. But Kyle Freeland is up to some interesting things that’s worth taking note of. During the offseason, Freeland focused on making some mechanical changes with the goal of enhancing his command and reducing his walk rate (9.2% BB% in 2017). These changes may have indirectly caused an uptick in his fastball velocity. In three starts this spring, Freeland’s fastball was 2.5 mph faster than his 2017 average.